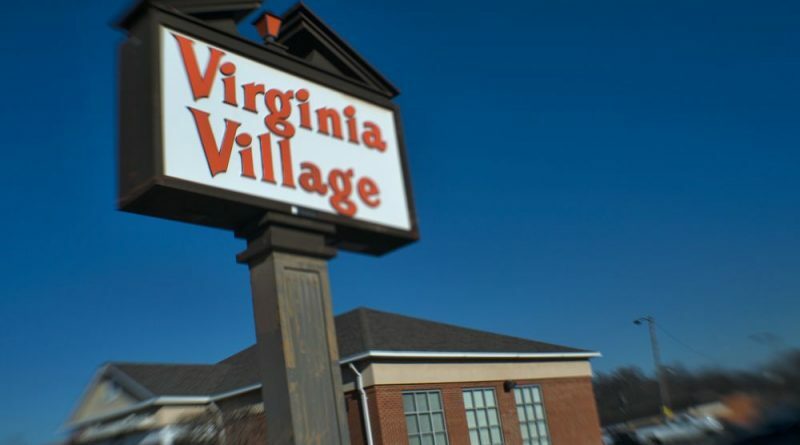 The Virginia Village shopping center has officially changed hands, ending more than six decades of ownership by the Ours family. The 18-acre property was sold Wednesday to Keane Enterprises, led by local developer Brian Cullen. Cullen has been behind several big name projects in Leesburg and greater Loudoun for the past three decades, including Oaklawn in Leesburg; the Ashburn Ice House; and Willowsford in Aldie. 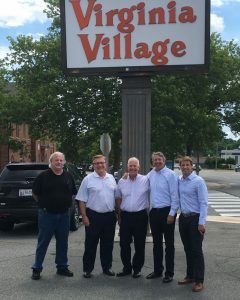 Located off the corner of Catoctin Circle and King Street, Virginia Village began in 1955 under the vision of John Ours, who was Leesburg’s first commercial developer. Ours was attracted to the property due to the town’s nearby water and sewer plant, which has since moved, and the ability to rezone from agriculture to highway and village commercial use. Then, he was able to offer space to the Alcoholic Beverage Control store, which still operates there today. He would also land a Safeway store, which is now a Rite Aid, to anchor the shopping center. After John Ours’ death in 1991, the property continued in the family and was owned and operated by sons Brian, Warren, and John. Today, many of the 35 tenants that remain in the center’s office and retail space have been there for decades. The decision to sell the property to Cullen was an easy one for the Ours’ sons, as Cullen is a local name with familiarity and appreciation for the town. Cullen said he has long loved the Virginia Village shopping center because of its legacy in the town. Attracted to doing business near downtown Leesburg because of its “authenticity”, Cullen said when he caught wind of the brothers’ interest in selling the property he arranged a meeting late last summer. The ball started rolling from there. For now, Cullen says he is honoring the leases of the Village’s current office and retail tenants. He said he is also looking for new tenants to fill in the center’s vacancy that will drive more activity to the center. Although he envisions a site that could yield a mix of uses, including residential, he said the town will first need to step up to the plate with its Crescent District design regulations before he sets off on any redevelopment plans. Word has always been that these antiquated strip centers were being demolished once a new owner was found. A new owner has been found. Kettermans is moving. New owner obviously has been talking to developer who has already talked to “Our Town”, which is my understanding…….. “Our Town” has and will continue to be going through massive development, so don’t believe for one minute that the gaggle hasn’t been rubber stamping each and every one of these very local Development projects, regardless of what they say on the outside. Cullen has already stated that he will honor current leases “for now”, but he is ultimately looking at many, many, large mixed use buildings similar to over the trees where Hobie is developing. Many folks on the previous Town Council, and some on the current, are fully aware of future development plans at this site, as well as myself, and many others, so I’m surprised that the local newspapers doesn’t seem to include any of the data, if they did a little digging, as it’s been more than just discussed a bit…….